The Dr Dennis Gross Skincare™ Triple C Peptide Firming Oil belongs in your assortment of the best skin care products on the market. This sophisticated and luxurious oil blend contains three forms of vitamin C and three peptides to stimulate collagen, brighten, and hydrate. 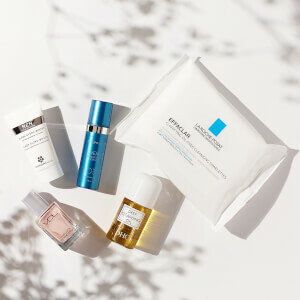 Suited for all skin types, this skin-complementing beauty product replaces the natural oils we lose as we age without causing breakouts or leaving a greasy finish. Beyond moisturizing, this multi-tasking beauty product works deep within the skin to rebuild collagen and replenish the skin's moisture barrier, resulting in diminished dark spots and the smoothing of fine lines and wrinkles. Those of all skin types who are looking to moisturize, diminish dark spots and smooth fine lines and wrinkles. Apply 2-3 drops daily, more if needed. Gently massage onto face, neck, and decollete. For AM and/or PM use. Squalane, Silica, Silica Silylate, Prunus Amygdalus Dulcis (Sweet Almond) Oil, Helianthus Annuus (Sunflower) Seed Oil, Ascorbyl Glucoside, Ascorbyl Palmitate, Tetrahexyldecyl Ascorbate, Rose Flower Oil, Tetrapeptide-21, Tocopheryl Acetate, Rosmarinus Officinalis (Rosemary) Leaf Oil, Oenothera Biennis (Evening Primrose) Oil, Palmitoyl Tripeptide-1, Palmitoyl Tripeptide-28, Retinol, Emblica Officinalis Fruit Extract, Ergocalciferol, Phytonadione, Retinyl Palmitate, Panthenol, Argania Spinosa Kernel Oil, Chlorella Protothecoides Oil, Hippophae Rhamnoides Fruit Extract, Lavandula Angustifolia (Lavender) Oil, Macadamia Ternifolia Seed Oil, Persea Gratissima (Avocado) Oil, Phospholipids, Prunus Armeniaca (Apricot) Kernel Oil, Pyrus Malus (Apple) Fruit Extract, Salix Alba (Willow) Bark Extract, Simmondsia Chinensis (Jojoba) Seed Oil, Geranium Maculatum Oil, Glycine Soja (Soybean) Oil, Sodium Hyaluronate, Linoleic Acid, Biotin, Butyrospermum Parkii (Shea) Butter Extract, Triticum Vulgare (Wheat) Germ Oil, Ubiquinone, Glycolic Acid, Lactic Acid, Salicylic Acid, Acrylates/Carbamate Copolymer, Ethylhexyl Palmitate, Ethylhexylglycerin, Butylene Glycol, Tribehenin, Caprylic/Capric Triglyceride, Hydroxyethyl Behenamidopropyl Dimonium Chloride, Bentonite, Corn Starch Modified, Mentha Piperita (Peppermint) Oil, VP/Eicosene Copolymer, Isoamyl Laurate, Water/Aqua/Eau, Polysorbate 20, Carbomer, Glycerin, Curcuma Longa (Turmeric) Root Extract, Behenyl Alcohol, Sorbitan Isostearate, Cyclodextrin, Phytic Acid, Phenoxyethanol. Softens my skin. Moistrulizing but not oily or heavy. Triple C Peptide firming oil. Make sure to shake the bottle before use! I have only been using this for a short while but I do enjoy the way my skin feels after I gently massage it in. The oil absorbs very quickly so be quick. Not much fragrance. Will continue to use!! I recently purchased this oil and am hoping it will help with radiance and also hyperpigmentation areas from sun damage & age. I like the texture and feel of the oil. I wish more detailed info was provided regarding usage. I wonder if it is OK to mix it with a moisturizer. Also, should it be used before or after applying a moisturizer? I want to get all the benefits I can from this product. I like the Dr. Gross skincare line and am happy SkincareRX carries it and also makes it affordable! Product makes your skin glow. I will give it a month to see if I love it . It's seems to go right into the skin. 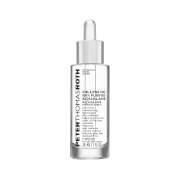 I use this along with the ferulic and retinol moisturizer by Dr. Gross and have noticed my sun spots diminishing and the lines between my nose and mouth decreasing. Can't beat the vitamin c and peptides combined in this oil serum is truly amazing! Lasts forever since it's an oil absorbs in the skin and my skin glows the next day..